« Australian Castaways. Bait fishing for introduced European Species in Victoria. 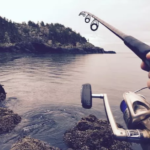 Inline spinners have been in the fishing game for decades and have been a popular lure choice for most anglers who are targeting aggressive game fish species. 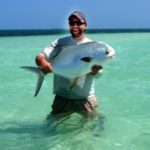 Even beginners who are looking to switch from live bait to artificial lures tend to lean towards inline spin lures because they just flat out catch fish. Not only are inline spinners a great beginner tool for novice anglers but they are extremely versatile lures for even the experienced anglers. There is something about the vibration and the flash of inline spinner that send fish into a feeding frenzy. While most game fish species favour the look and action of an inline spinner rainbow trout seem to fancy the lure the most. 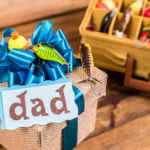 Although the inline spinner can be considered a beginner lure there is some skill and finesse required to use this lure so that it can be fished at its full potential. Choosing the right size, weight, colour, and brand is the most important decision to make before an angler can even think about throwing an inline spinner into a trout infested pool. These four factors play a huge role when attempting to land a rainbow. An example of inexpensive brand of inline spinners that flat out catch fish are the Blue Fox Super Vibrax. The durability and blade thumping action of a Vibrax is superb for a lure at such a great price point. The Vibrax and similar style trout spin lures can be found at most fishing stores, including local tackle shops, and come in a plethora of weights, colours and sizes. It’s important to choose the right spin lure for the appropriate conditions. If the trout are feeding deeper in water ranging from 5ft.-9ft. choose a 1/4oz / 7g spin lure. The heavier the lure the faster it will sink near bottom and stay in the strike zone of the trout. If an angler chooses to fish a shallow creek or stream where the water is a mere 1ft-4ft deep a 1/8oz / 3.5g spin lure is the ideal weight to throw because it is significantly lighter and can be worked at a reasonable pace without getting snagged. The Blue Fox Vibrax is a fairly simple and straight forward lure to use, especially for beginner anglers. The best way to work this style of spinner is to reel the lure in with a steady pace. The water depth will dictate how fast or slow the lure should be retrieved. The deeper the water the slower the retrieve, but the shallower the water the faster the angler must retrieve to keep the lure from hitting the bottom. 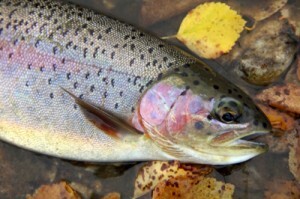 Retrieve is also strongly based on how active the fish are; if it is a hot summer day and the trout are lethargic a slow retrieve is necessary to coax a bite. If the water temperature is cold a faster retrieve should be used because the trout will most likely be feeding heavily. The least significant, but still important, factor to fishing a spin lure is choosing a colour the works best. A simple way to make sure a colour works is to see if the colour of the spin blade matches the pattern of the minnows that the trout are eating. Most spin lures are designed to imitate a bait fish or minnows, so picking a lure that matches the same colour pattern of the trout forage can be a deciding factor as to whether or not an angler will catch a fish. Whether a trout angler is a beginner or experienced they should always take these tips into consideration when choosing to throw the right inline spinner. 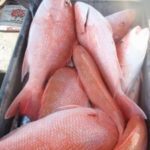 Overcome factors such as weather, water depth, and fish activity by throwing the correct style of inline spinner, while using these lure specific tactics to bring more fish on shore or into the boat.